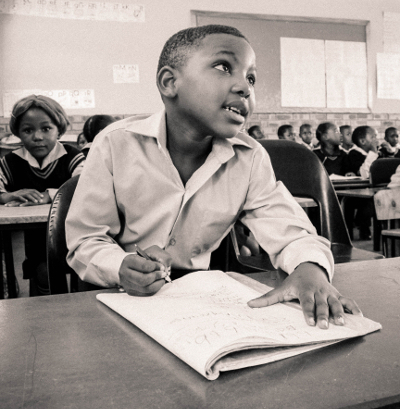 Education is one of our main focus areas as it is key to achieving long-term change. For us, education remains important across the age spectrum, and our programmes range from early childhood development to mature adult education that includes vocational training and leadership skills. At present children must travel long distances to attend overcrowded classes. Some classes are more than triple the number recommended by the Department of Education. Overcrowding creates a difficult learning environment for both teachers and learners. The Trust’s funding of school infrastructure has shown immediate improvement in the quality of education. 70% of the local population is aged under 35 years of age so it’s vital we support this social dynamic. A positive impact has been achieved through the Trust supporting development of young people in partnership with Columba Leadership Academy.